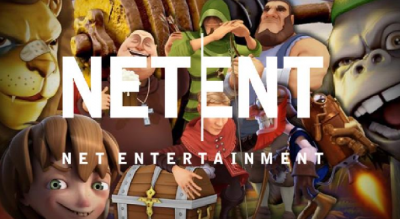 Online casino games supplier, NetEnt hinted on their release of a new slot game named Sparks. They plan on releasing the slot on 23rd July. The slot comes with 5 reels, 3 rows and 20 pay-lines which feature a neon electric theme. Besides the electrifying theme, Sparks will bring to your table innovation that will make you as the player have bigger opportunities to be a winner. There are no special bonuses on the slot but the game has some special expanding cloning wilds and the option to have pay-lines rewarding you both ways which assists you in making bigger wins. One thing you will notice once you are playing on this slot would be the choice to have you playing in one way or in two ways. Winning in one way is the default setting on the slot; this is the more where your winnings are calculated from the left side to the right side. When playing on both ways, you have the opportunity to have your winnings calculated from the left and from the right. This means you have the potential to make bigger wins and having a larger stake. What will the Cloning Expanding Wilds do? This is a sweet feature that shows how NetEnt could be innovative. There are the normal wilds that usually appear on your reels and will replace any symbol to complete a winning combination. When you don’t have the normal symbols showing up, the expanding cloning wilds will pop up on reels 2 and 4. When they come to play, the wilds will be in a position to expand horizontally or vertically. The cloning wilds will expand to other wilds on the reels which in turn creates an opportunity for you to have 5 of a kind. Similar to other NetEnt slots like Twin Spin and reel Rush, Sparks slot has a dynamic soundtrack that starts with soothing music that will gradually pick the pace and rhythm as the wins and wilds get racked on the reels. When will the slot be available? This slot will be available coming month in all NetEnt powered casinos. Feel free to look through our NetEnt powered casinos reviews to have a glimpse of what they have to offer other than slot games. The company was established from the heritage of one of Scandinavian leading land based casino operator. This was 1996 is one of the online casino gaming pioneers. They have their eyes on every emerging trend in the industry. The company invests heavily in its player and the products they offer them which guarantees unrivalled commitment, innovation and passion to the digital gaming world.